Item # 319112 Stash Points: 7,995 (?) This is the number of points you get in The Zumiez Stash for purchasing this item. Stash points are redeemable for exclusive rewards only available to Zumiez Stash members. To redeem your points check out the rewards catalog on thestash.zumiez.com. 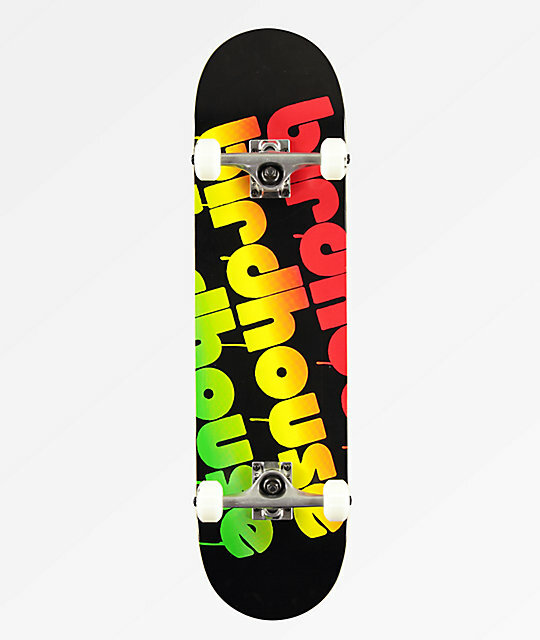 Easily get setup with pro performance and styling with the Birdhouse Triple Stack 8.0" Skateboard Complete. 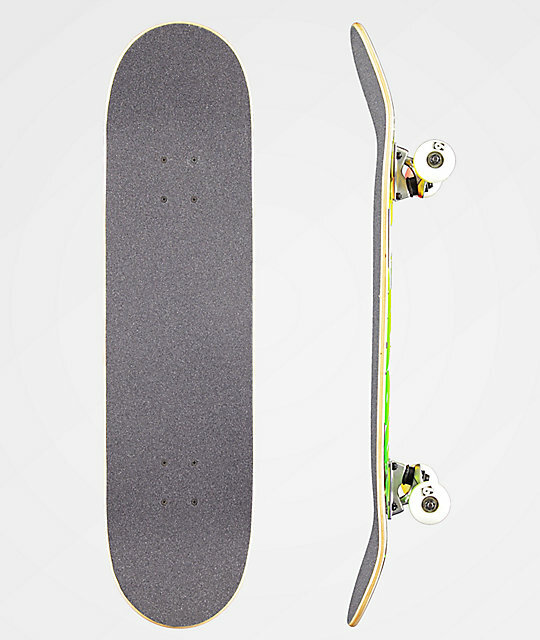 This pre-assembled skateboard is ready to shred right out of the box and includes Birdhouse trucks, wheels and Abec 5 bearings. Offering a traditional 7-ply constructed deck, this durable board comes finished with signature Birdhouse logo script printed across the underside in a bright red, yellow and green colorway. Triple Stack 8.0" Skateboard Complete from Birdhouse.